The original cinder track was built in the winter of 1955-56 with one of the driving forces being Len Kilby a masseur to the British team. 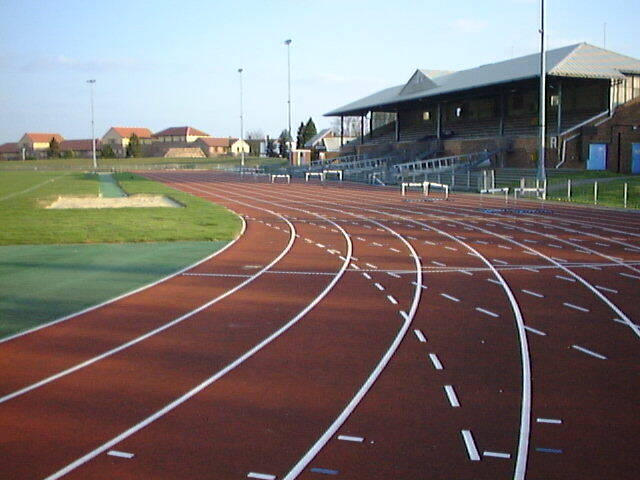 Hayes & Harlington AC was formed in either late 1955 or early 1956 and operated from the track. It was upgraded to a synthetic Polyflex 942 track from a redgra one and the work was completed in the summer of 1987. All the runways were coloured green and a netball court was marked out in the HJ area at both ends of the track. There used to be an external throwing cage within the adjacent school, outside the back straight and over the earth bank and the railings used to be associated with the track. The site was sold for housing in the late 2000s.